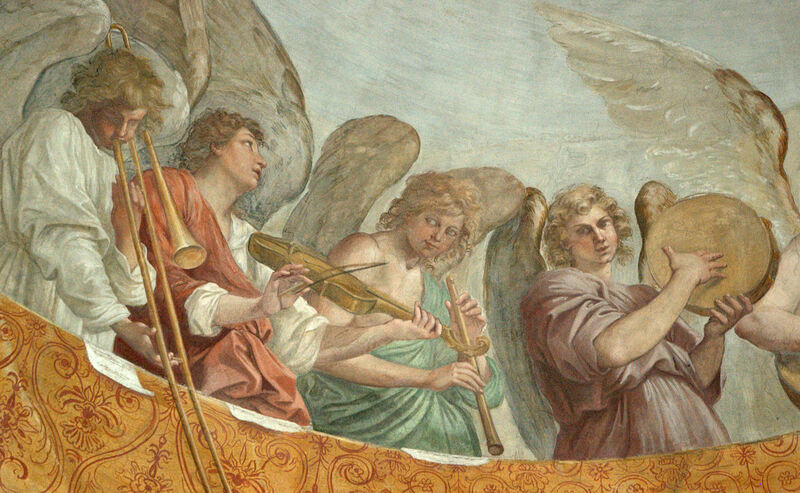 This morning I added the below image and caption to the ever-expanding post, Serpent & Ophicleide: History and Images. There are now 77 pictures there, with more on the way. Enjoy! 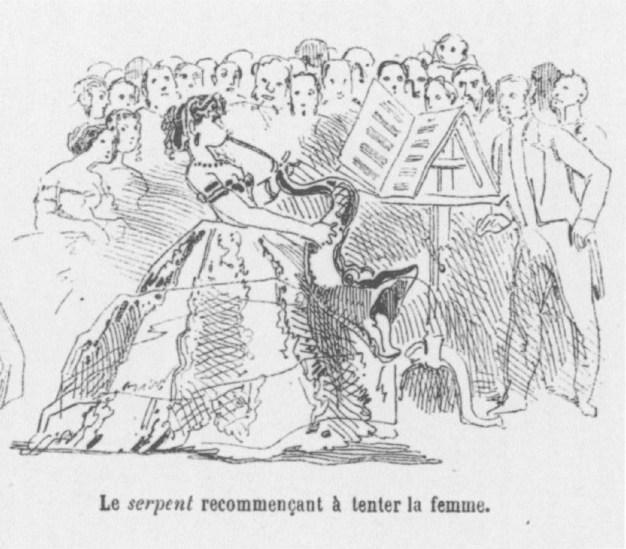 1865—A satirical cartoon titled “The serpent starting to tempt the woman once again,” printed in Le monde illustré, features a woman playing a dragon-belled serpent (see below image; public domain) (Le monde illustré, 9, no. 442; Sept 30 1865).